One of the first things you'll notice about Heliolisk is its unique typing. Normal/Electric isn't the best type for dual STAB, and it's an even worse defensive typing, but in a game where Ghost Pokémon are around every corner, Normal typing can offer a convenient immunity and numerous switch-in opportunities. Another thing that Heliolisk suffers from, much like Goodra, is the fact that rain only lasts five turns, which makes Heliolisk's fantastic ability; Dry Skin, a lot less useful in the long run. It's not all bad news however, as Heliolisk's decent Special Attack and great Speed as well as access to volt switch and Surf give him the potential to be a decent cleaner late-game. His two immunities give him a lot of options when switching in, as long as the field is free of entry hazards. His access to Surf also means that opposing ground types can't always switch in, and when they do they're potentially OHKOed at best or 2HKOed before they can KO you. 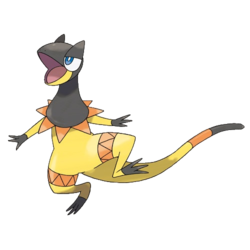 All in all, Heliolisk is a Pokémon that requires lots of thought to play, due to his immunities and poor bulk. With or without Rain support he can use Dry Skin to his advantage. In the proper situations though he can be a fantastic Pokémon worthy of any balanced or offensive team. This is probably Heliolisk's most versatile set. Dry Skin allows Heliolisk to heal off all life orb recoil while firing off STAB Thunders and boosted Surfs off of its decent 109 Special Attack. There are very few pokémon that resist the combination of Water and electric moves, one of the most threatening being Rotom-W, which is why you want to carry Grass Knot, although Thunder does more damage. Grass Knot is more for Ground types that think they can get a free switch on a thunder. If you opt for Grass Knot, you're better off sticking to Thunderbolt, since you have no way of setting up more rain once it runs out. Leftovers are a great option in the rain, as they heal 1/8 of your HP per turn in combination with Dry Skin. Heliolisk loses some of its offensive power with leftovers, but the increased longevity and setting up more rain can be more useful in the long run. If that's the case, then a Damp Rock might the best item for a team looking to make the most out of a fast Rain Dance user with access to STAB Thunder, Reliable healing and Surf. Pokémon to watch out for with this set are strong priority users, such as Talonflame, Scizor and Lucario. They can quickly end Heliolisk's set up even though he resists their priority moves. That's Heliolisk's biggest drawback, his frailty. He takes massive damage from even resisted physical hits and, even though its special defense is passable, Heliolisk's low HP leaves no chance for a defensive set. Heliolisk's Two immunities ensure that he has plenty of opportunities to switch in and even set up, which make up for its poor defenses. This is is a much more straightforward set that still performs especially well on dedicated Rain teams. If you decide to use this set on a Rain team, you can run Thunder instead of Thunderbolt for stronger STAB, but the safer option is still Thunderbolt. Speaking of safer options, Grass Knot is the more reliable option between it and Focus Blast, but Focus Blast offers better coverage and overall a higher base power. The Hidden Power you should depends on the Pokémon that gives you the most trouble. If you fear dragon types such as Garchomp or Salamence, or even Bulky Pokémon like Landorus and gliscor, then Hidden Power Ice is your best friend. If you have hard time dealing with steel types like Ferrothorn and Scizor, Hidden Power Fire is your best option. Another option for this set is Volt Switch, since it lets you predict switches and Heliolisk makes a good VoltTurn partner with Pokémon like Scizor or Genesect. Heliolisk's lack of bulk limits the opportunities you have to switch in, but in the late game and as a revenge killer, Heliolisk is very useful and can secure some important KOs and potentially force switches when played correctly. It's important to conserve Heliolisk as long as possible before switching in on a Ghost or Water move as most other moves can potentially end your sweep before it starts. Ground type Pokémon and Pokémon with Water Absorb are your biggest threats with this set, and force you into switching and losing any momentum you've built up to that point. With the proper prediction however, you can still ensure KOs against Pokémon that can try to wall you or force you out. Other Pokémon to watch for are Gengar, Alakazam, and most Choice Scarf Pokémon, as they outspeed you and even though they can't hit you super effectively in some cases, they can still KO you before you have a chance to damage them. Heliolisk's less than stellar attacking stats and frailty, along with it's lack of boosting moves outside of Charge Beam, which is unreliable at best, mean that you'll want Pokémon on your team that can support Heliolisk defensively or by countering and weakening the Pokémon that threaten Heliolisk. Pokémon that are very strong offensively and pair well with heliolisk in terms of attacking stats and moves are a good choice. Utility Pokémon that can disrupt and cripple your opponent's team and pave the way for Heliolisk to clean up late game is also a good idea. Genesect is an overall fantastic Pokémon on a lot of teams due to his great offensive stats, wide movepool and great defensive typing. His U-turn pairs very well with Heliolisk's Volt Switch and helps maintain momentum throughout the beginning of the match. Genesect's access to moves like Thunderbolt, Ice Beam, and Flamethrower are great for weakening the opponent's team and allowing Heliolisk to clean up late game. 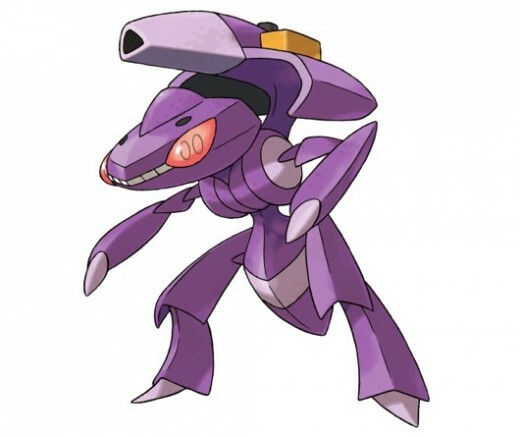 Although Genesect doesn't pair all that well Heliolisk defensively, it has good bulk and only one weakness which makes it a good partner for Heliolisk. Genesect can also use Explosion in case of emergency or if there's a Pokémon on your opponent's team you can't handle at the moment. This also opens up switch in opportunities for Heliolisk and when used properly can maintain momentum and ensure a sweep. Bisharp is a surprisingly useful Pokémon this generation, with access to a now very powerful STAB Knock Off, priority with Sucker Punch, and trapping power with Pursuit. He is also the only Steel type that still resists Ghost and Dark type moves. He has useful resistances and can cripple all Pokémon on your opponent's team that don't carry a Mega Stone with a very Powerful Knock off. His Physical attacks are a great counterpart to Heliolisk's special attacks. Bisharp's lack of coverage is a problem though, and he shares a Fighting type weakness with Heliolisk, however Bisharp's is a x4 weakness. This is easily remedied with a Ghost or Flying Type Pokémon that can take those hits very well. 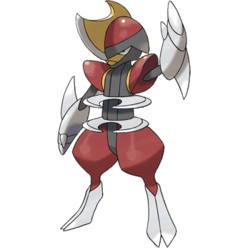 Bisharp's main duty when paired with Heliolisk is to severely cripple or even remove threats from the game so Heliolisk has an easier time picking off the weakened opponents. Bisharp also has an easier time switching in to a multitude of attacks with it's decent bulk and handy resistances. 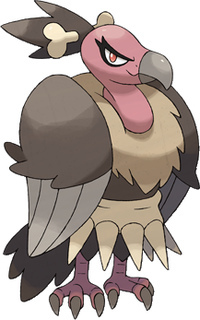 Mandibuzz One of the best defensive Pokémon in the game, Mandibuzz has access to so many useful support moves and has reliable recovery as well as a decent Speed even when uninvested. The main concern when using Mandibuzz on a team is making sure you pick the moves that best help support your team. For example, Defog is great if your team doesn't necessarily need hazards or screens. 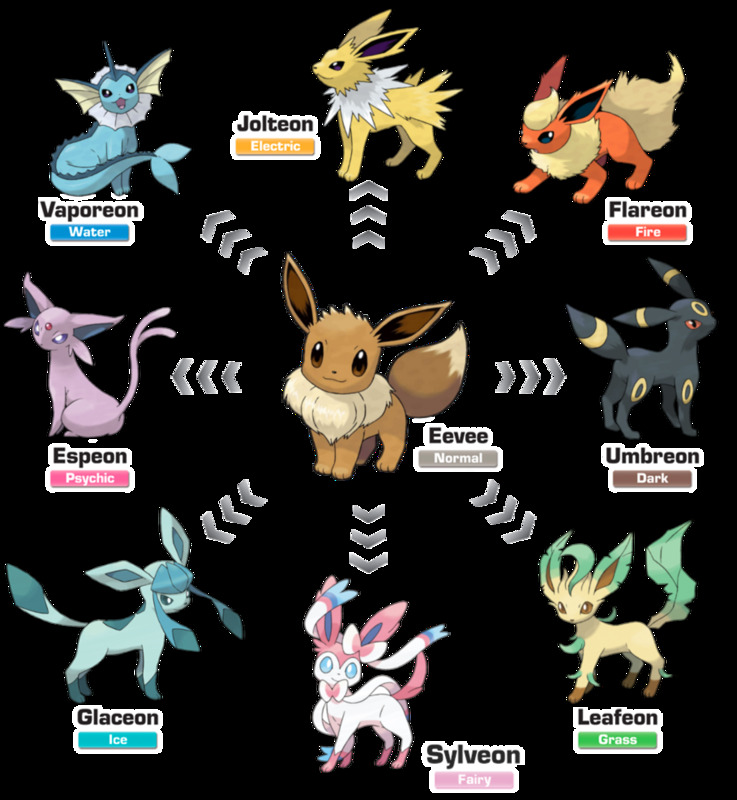 Knock Off and Foul Play should always be considered as they can hinder lots of Pokémon and Foul Play can eliminate a lot of Pokémon that would otherwise set up on Mandibuzz. Taunt and Whirlwind are also very useful for this. Roost should be on just about every Mandibuzz, as it keeps you around for the duration of the match. Overall, Mandibuzz is a fantastic asset to Heliolisk with it's resistances and support moves. Although this match is with some not-so-standard Pokémon, it still demonstrates just how effective Heliolisk can be in the late game. the set demonstrated here is a life orb set, and it is not in the rain. This match shows that Surf is one of Heliolisk's greatest assets. In the end, Heliolisk is a very particular Pokémon. 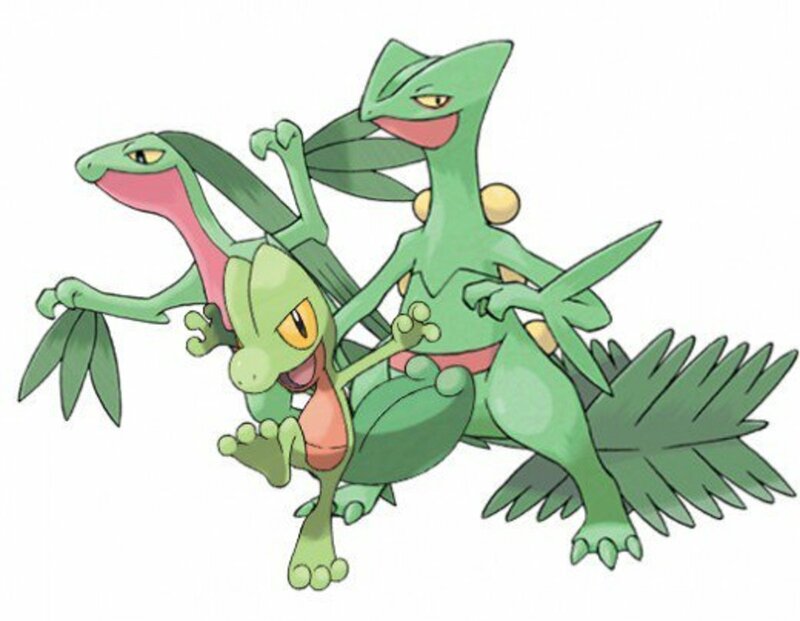 It can do some major damage in the rain, and even outside of it, when supported properly and can even pick apart teams with the correct moveset. Although it doesn't belong on every team, Rain teams should definitely consider adding a Heliolisk, as it can make a world of difference when facing off against opposing Electric types. 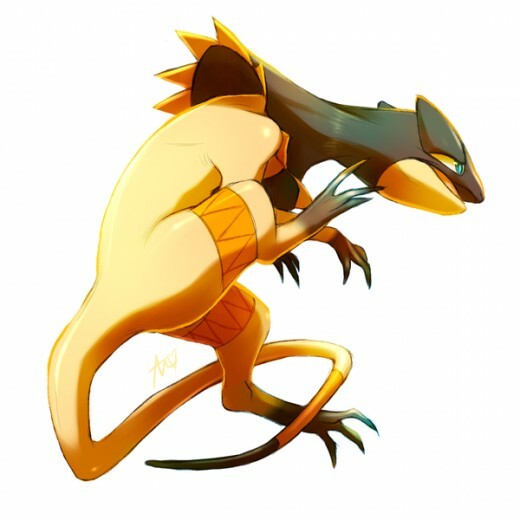 Heliolisk's Unique typing and immunities let's him work well with other Pokémon that may be scared out by Ghost or Water type attacks. Entry hazards such as Stealth Rock and Sticky Web are Heliolisk's best friend when they're on your side, and his worst enemy when on the opponent's. Having a Rapid Spinner is good for most teams, and it's no less true for Heliolisk, as it appreciates switching in with as much health as possible and its Speed intact. All in all, Heliolisk works best on Rain teams and heavy offense teams. I prefer a life orb and parabolic charge to deal STAB and life orb boosted damage . With two immunities and and two things on my team weak to ghost and water I would switch in with him and KO what he switched into. Then quickly have him switch out with a Volt Absorb. He wouldn't be in the fight for long but before he gets out he does a lot of damage. Just takes a bit of guesswork and prediction as to what the opponent will do. I used to use Heliolisk in Doubles on a rain team with other Dry Skin/Water Absorb Pokémon. If both know Surf you can restore a lot of HP each while also dealing damage. However, the Pokémon on this team can be frail, and depend on the rain. If the weather changes they could faint in the turn when they try to set rain up again. Also, Surf can be Tormented, causing you to lose valuable HP restoration. I tried using Parasect as one of its teammates, but Parasect can go two ways: fail early on or provide Spore+Leech Seed. It was too risky so I stopped.